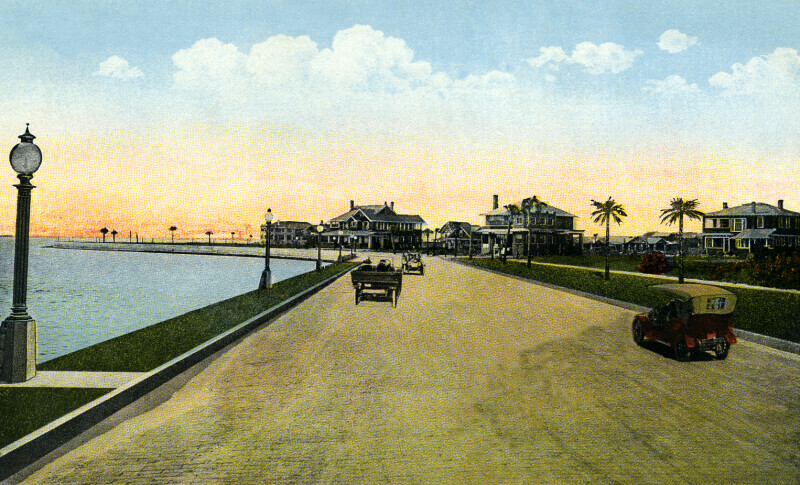 Bay Shore Drive is a wide, brick-paved road. To the left, street lamp line the road, and Hillsborough Bay can be seen. To the right, there are large homes, with spacious lawns.